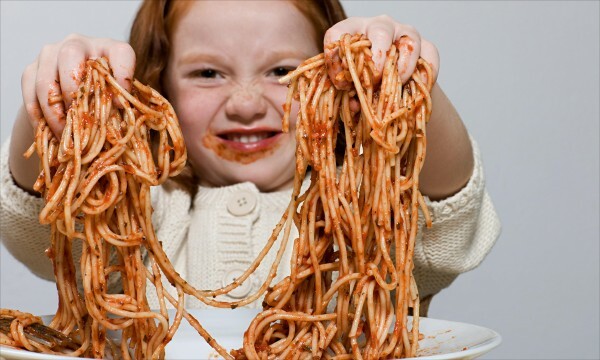 Small children who are slow to gain weight should be allowed to ’play’ with their food, put their fingers in it and get messy, according to new guidelines for the NHS. The guidelines suggest parents allow the children to try to feed themselves, rather than being spoon-fed. Parents should encourage the child to feel the texture of the food rather than force or coerce them into eating. Other recommendations are that mealtimes should not be too brief or too long. They should set reasonable mealtime while avoiding punitive approaches and establish regular eating schedules. This guideline also enables healthcare professionals to identify more complex cases of faltering growth for referral to specialist services, and help underweight children to reach a healthy weight.